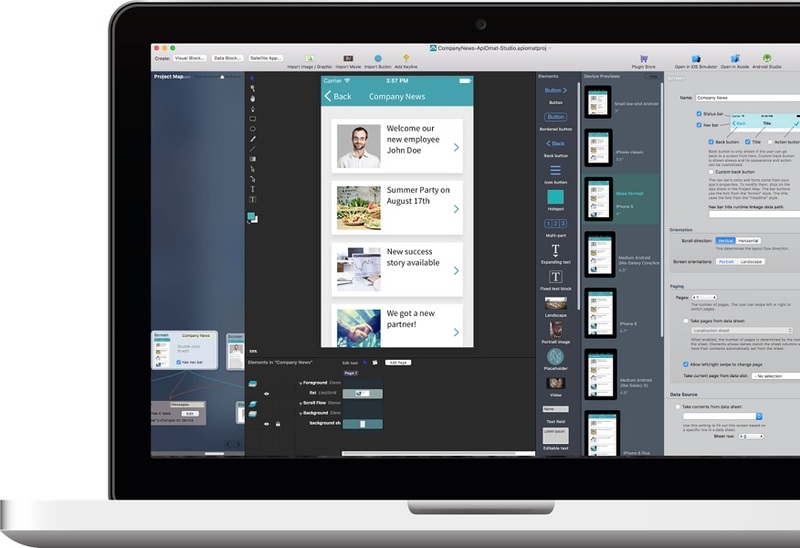 Built for designers, ApiOmat Studio provides all the tools to quickly piece together iOS apps (Android & web apps coming soon). Gain start up speed and give lines of business, departments, and designers the only tool to build native apps and digital services for their customers, without IT complexity. Deliver rapid prototypes and digital services in hours and launch apps in as little as a day to digitalize how employees, customers and partners interact with your business. Security and compliance guidelines are the Achilles heel of every IT infrastructure. Often it's the IT department's responsibility to ensure the security. For more details see Password Policy. Also see Images and Files. 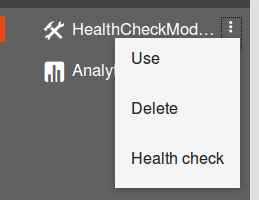 Implement the checkHealth method in the native module, which can e.g. check if an connected system is responding. 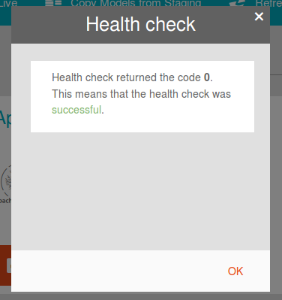 This health check has an rest endpoint which can be used by every customer having the READ_HEALTH role. 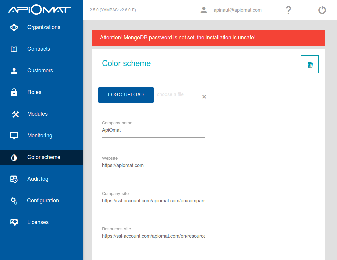 New modules expand the range of services in ApiOmat: Access data with the new OData Connector from any client or server library by using the OData protocol, generate PDF files (like invoices, tickets or forms) and connect to other folders in your ApiOmat network. Allows reading from and writing to samba share folders. Allows to read and write data from services that provide an OData RESTful service. Generates a PDF file from an HTML template. According to your requirements the ApiOmat Dashboard is now adaptable to your companys CI and brand guidelines. With the color scheme comes a new way to customize the look of the Dashboard and rebrand it. There is now the possibility to upload a logo, configure displayed links and set colors of specific dashboard UI components. The old Dashboard2 will not work anymore with ApiOmat Yambas 2.6. Please use the Dashboard3 instead. For updating to ApiOmat 2.6 and later, you have to update to our new repository repo.apiomat.com. Also, new (personal) credentials are need, which will be kindly provided by your customer success manager at ApiOmat. If upgrading from Windows, no further actions are necessary. If upgrading from Linux, just replace the repository entry before upgrade by replacing the file content of /etc/apt/sources.list.d/apiomat.list (Debian, Ubuntu) / /etc/yum.repos.d/apiomat.repo (Red Hat, CentOS) / /etc/zypp/repos.d/ApiOmat (SUSE) with the content provided in the installation manuals. The download SDK REST endpoint will now need an application/octet-stream accept header. You have to update the dashboard to the latest version and change legacy scripts to make the SDK download work again. If existing, check your own scripts using the REST endpoint and send the new header. Collections with simple types will return an optional in ObjectiveC now, which may require manual updates in iOS code when downloading a new SDK after 2.6 upgrade. Collections with date types will return null in ObjectiveC now, if initialized and saved with null before.